Mix dry ingredients, then add butter and cheese, just mixing until pea-sized pieces form. Add egg to water, mix well, then add to dry ingredients, mixing until a dough forms. Add a little more water only if dough will not form without it. Divide dough in half, forming into two disks, wrap in plastic, and chill for at least one hour. Roll out dough between plastic and parchment to about 1/8-inch thick. Cut using a straight edge into 1/4-inch to 3/8-inch strips. Transfer parchment onto half sheet pan. Carefully stand the strips on their thin sides and form them into waves. Bake at 400F for 10 to 12 minutes, until just starting to color. Remove pan from oven and place on cooling rack. 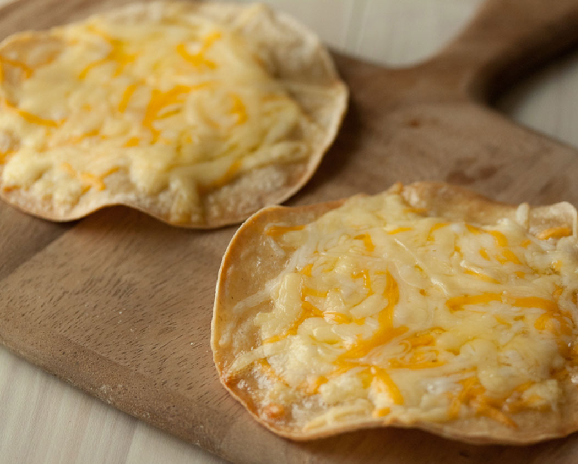 Allow Cheese Crisps to cool before serving.